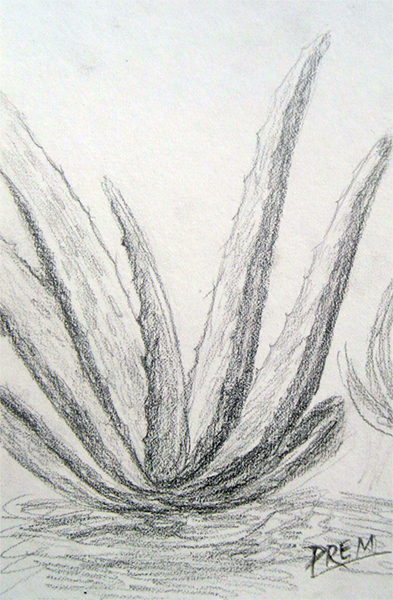 Here is a rough quick sketch of Aloe Vera plant. If you want to learn more about aloe vera and see its photograph then please follow this link. Aloe Vera is indeed a very beneficial plant and it has many health benefits and cosmetic applications. It can be especially beneficial for anyone who wants to take better care of their skin and beauty since it can be applied to skin and hair directly. Now, being back to this sketch, it's an easy job which you can also practice doing. It didn't took me long to get this sketch. That's why I called this one a rough quick sketch! Please do not forget to leave your opinions in the comments below. Good bye for today!